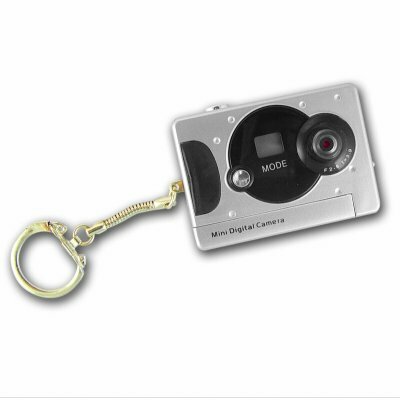 Successfully Added CMOS Keychain Digital Camera - 16MB Memory to your Shopping Cart. Mini Keychain Digital Camera with a 300K CMOS Sensor and 16MB of internal SDRAM memory. This cute looking, inexpensive Digital Camera is a great little gadget to have for spot photos on holidays or for insurance claims, as an interesting addition to your keychain, or as a perfect gift for children looking for their first camera. A great price, good resolution, and Chinavasions no MOQ and one year warrantee make this Mini Digital Camera a great buy for personal use, or for large bulk sales.